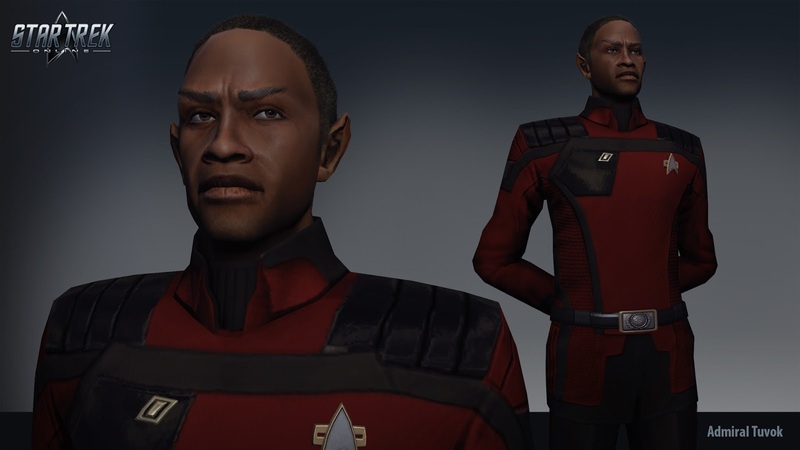 UPDATE: The Star Trek Online screenshots gallery has been updated with new images of Tuvok, which I've added here. 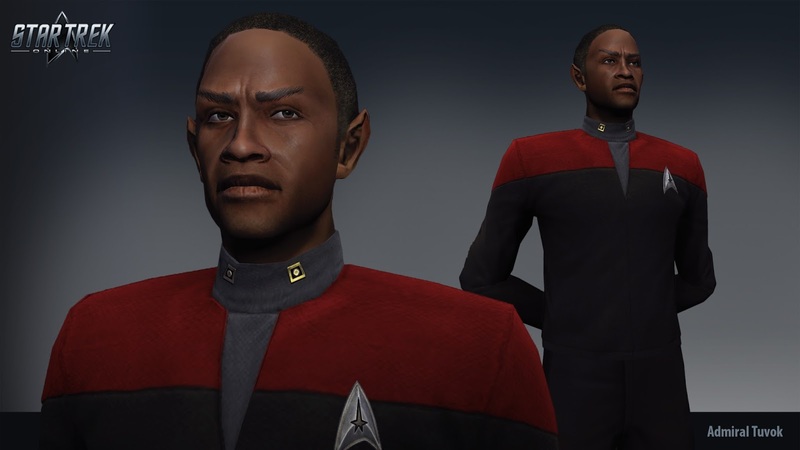 UPDATE 2: One of the Star Trek Online team posted the image now at the top of the page, showing Admiral Tuvok's new uniform. 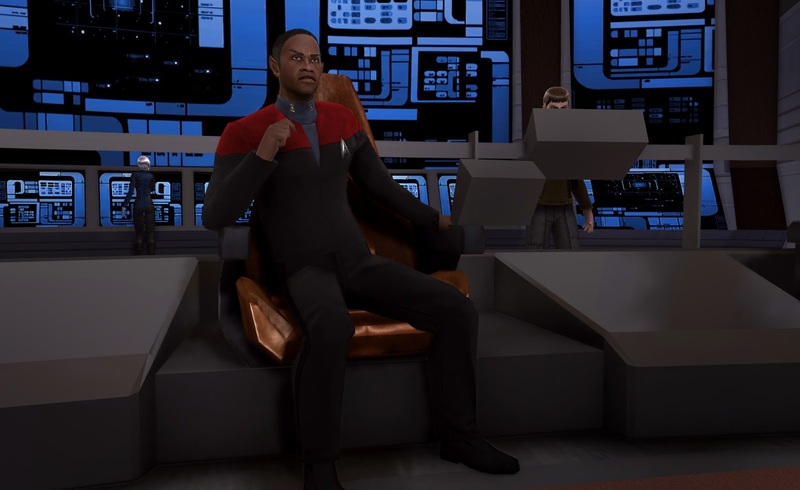 Thanks to Twitterer TLO SFC3 for pointing me towards it.